The American founders did not endorse a citizen’s right to know. More openness in government, more frankness in a doctor’s communication with patients, more disclosure in a food manufacturer’s package labeling, and more public notice of actions that might damage the environment emerged in our own time. 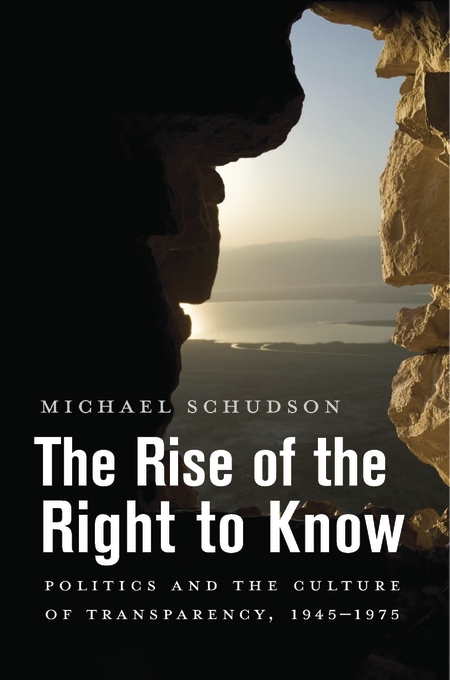 As Michael Schudson shows in The Rise of the Right to Know, modern transparency dates to the 1950s, 1960s, and 1970s—well before the Internet—as reform-oriented politicians, journalists, watchdog groups, and social movements won new leverage. At the same time, the rapid growth of higher education after 1945, together with its expansive ethos of inquiry and criticism, fostered both insight and oversight as public values. 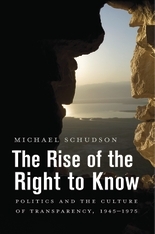 Schudson provides case studies of precedent-setting disclosure practices: the Freedom of Information Act (1966), reforms of supermarket labeling (1970s), sunshine legislation in the Congress (1970), the complicated conceptual and legislative origin of the “environmental impact statement,” and newsroom changes that increased the independence and analytical sophistication of news coverage after 1968. These changes brought a “right to know” into political life and helped define a new era for representative democracy—less focus on parties and elections, more pluralism and more players, year-round monitoring of government, and a blurring line between politics and society, public and private. The rise of openness marks a new stage in self-government.